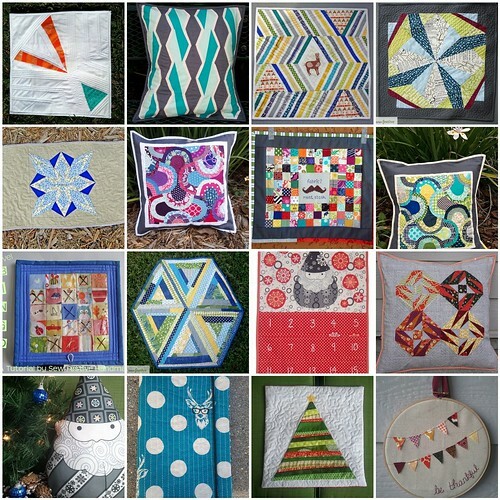 Sew Festive Handmade: So what did I do in 2012? 2012 was a really tough year personally and financially for me. 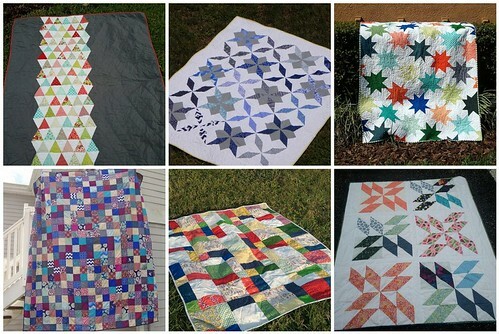 Luckily, quilting is always happy :) Last year I recapped my first 6 months of quilting. And I set some goals for 2012. Let's see how I did, shall we? Find a job that I love! Or just a job that pays me :) I have a job, and it's exhausting and I work more than 40 hours most weeks, but I love that the concept of the nonprofit that I work for is a great and fulfilling goal to work towards! Be ok with possibly having to move away from family and friends for that job Luckily for me, I didn't have to move, yay! Make a king-size quilt for my bed Complete fail on this. I always had to push this aside all year for other things. 2013! Make some clothing Lots of clothes this year! Bake more. Not just desserts. Because I do that plenty. Breads and healthier stuff. This came and went throughout the year, depending on how busy I was at the moment. And while I did bake breads, I didn't really bake too many "healthy" items. Have a smoothie in the morning at least every other day [almost to this frequency!] And add things like spinach to them. Giant fail in the second half of the year. I haven't made myself a smoothie in months. I'd love to learn to knit, but have tried many many times, and it hasn't clicked yet Didn't even try, but I just read a post on a knitting website with videos that I might check out. Purchase all new living room furniture I realized by the summer that I wasn't going to be able to accomplish this in 2012, so I refinished my coffee and end tables by hand. It was tough, but they look new! Join a sewing bee [this is amusing, because almost every blogger that I've read has said they want to decrease the number of bees and swaps they're in. Makes room for me I guess!] Check! I did this! Would absolutely love to be able to attend the Sewing Summit. And hopefully by October I'll get over fears of going somewhere to meet people that I've never met in person :) No job meant no cross-country trip for me this year. Project 365. I've become a lot more comfortable with just pulling out my phone and taking a picture, and the camera isn't half bad, so I'm hoping that a combo of phone and real camera photos will document 2012! By about halfway through the year I changed up my photo-taking, and no longer took a photo a day, but probably averaged every other day for the rest of the year. I decided that I didn't need to document every time something mundane happened, just for the sake of taking a picture that day. But I'm still counting this as accomplished. 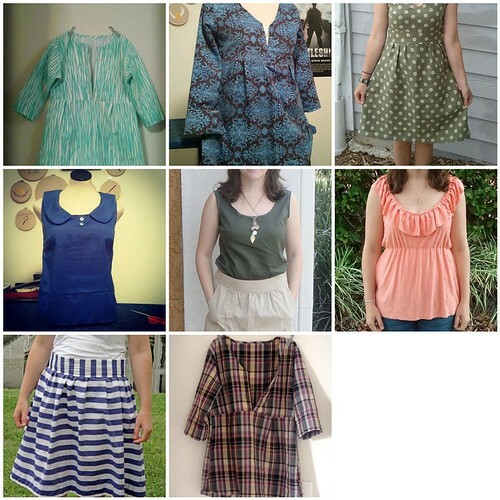 What I think of as my biggest growth in 2012 - sewing clothes! Make that darned king-size quilt for myself! I hope that you're looking forward to the new year as much as I am! Congratulations on all your finishes! A terrific job well done! You got a ton done!! So many pretty things :) You should definitely bind one by hand - that's one of my favorite parts!